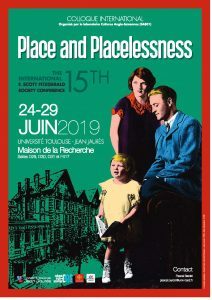 The F. Scott Fitzgerald Society is delighted to announce that its 15th international conference will be held in Toulouse, France, from June 24-29, 2019. If you are looking for a good Scott and Zelda excuse to visit the Southwest of France and the Pyrennes, this is your chance! We are hoping to include optional excursions to Carcassonne and, if possible, Salies de Béarn (it’s a long haul from Toulouse to the spa town, but we’re hearty travelers.) We are also offering attendees the option of meeting in Paris on June 23 for a special “Babylon Revisited”/Tender Is the Night walking tour. 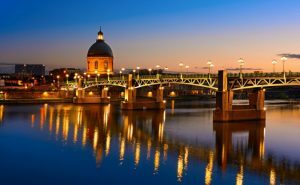 We will then travel by speed train on Monday morning the 24th as a group to Toulouse. While the date for submitting abstracts has passed and the program will be published shortly, we are looking forward to non-panelist attendees registering soon. If you have any questions, please email either fitzgeraldintoulouse@gmail.com or kcurnutt@troy.edu.